Chris ****: "Excellent supplier, highly recommended." ..
Mark ****: "Good gear, good supplier." ..
Cam ****: "Product as described. Great communication. Easy to deal with - and quick on the ship! Awesome. Thank you." ..
Oliver ****: "Great little charger, brought one bike battery back to life. Works OK on larger batteries but if you're planning on using this to try and bring car batteries back from the dead you need the next model up. GREAT for bikes and my other batteries, gave me 13.1V when done!" [FastBikeGear comment: Oliver is correct this model is for small batteries used in motorcycles and Jet Ski's. 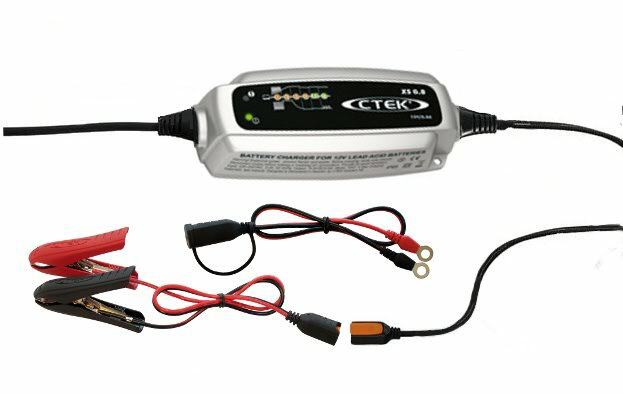 If you want one that can charge both car and motorcycle batteries you are better off with the CTEX MXS 5 car model.] ..